Is your fashion brand aware of the following mobile marketing trends? 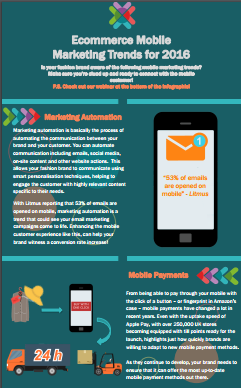 Make sure you’re clued up and ready to connect with the mobile customer! Download this infographic by filling in the form to the right.